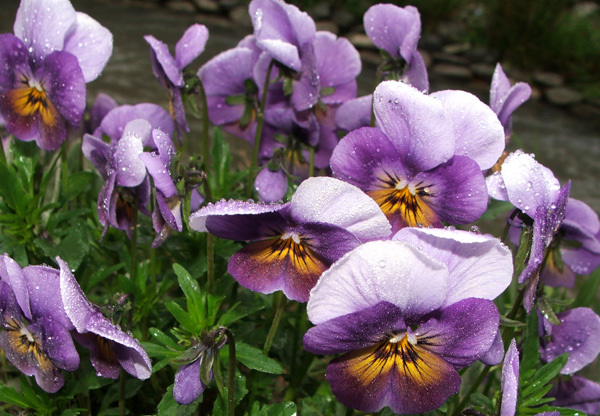 When I'm developing a new area I like to plant in some pansies. These are terribly special ones, grown from a mean spirited seed packet with about ten seeds in it. I guess they must be a fancy new hybrid. I need reminding to buy in some more seeds - in the four years since I grew these pansies all the yellow flowered ones seem to have disappeared. Only the blues remain. 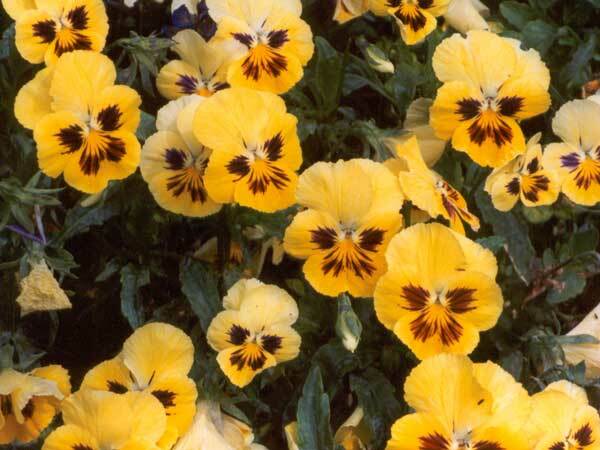 And often the best pansies are those which self-seed, anyway. Mean-spirited seed packets don't cover quite enough ground for me.